Are you searching for the perfect place to shut out the world and simply let your mind and body relax? Consider staying in one of the luxury resorts in the Mae Rim valley. If you want the best experience, make sure to choose a resort that is acknowledged as one of the finest in the area. Among the facilities that you can expect from the best luxury resorts are lounges and bars that offer delicious Thai delicacies as well as international cuisine. If you rent a suite in a private villa that is located inside the resort, you may even order food from the restaurants and have them delivered to your room. Some resort villas also offer a perfect health retreat. 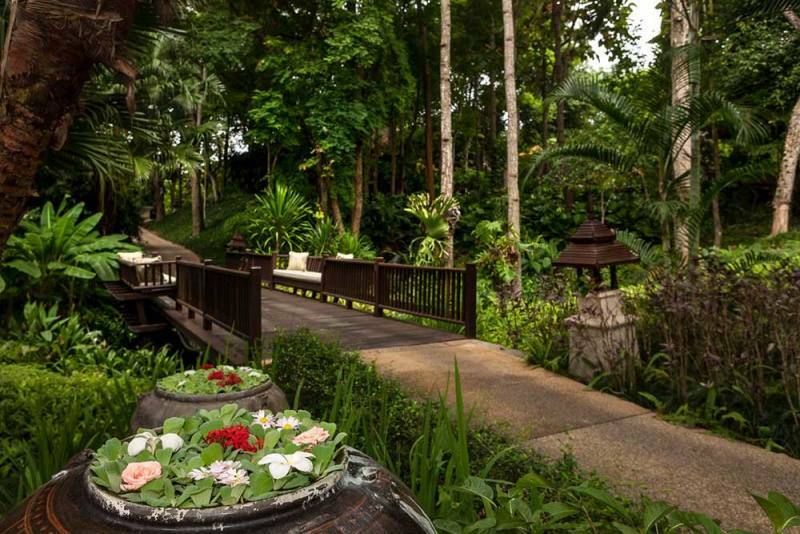 Lana Thai Villa includes facilities such as swimming pools, whirlpools, a world class spa, as well as wonderfully landscaped grounds to stroll in. You will also find a gym that features state-of-the-art exercise equipment. You’ll surely enjoy the saunas, herbal steam room, heated outdoor whirlpool, cold plunge pool, and infinity-edge swimming pool. You can even practice yoga through classes with the resident yogi. We are situated in one of the best luxury resorts in Mae Rim. If you love your golf this is the perfect base as the area features excellent, world class golf courses. Are you looking to experience Northern Thailand’s cuisine? Our resort offers Thai cooking classes. These are a real culinary adventure where you will have a hands-on learning experience and be introduced to a selection of wonderful Thai dishes. 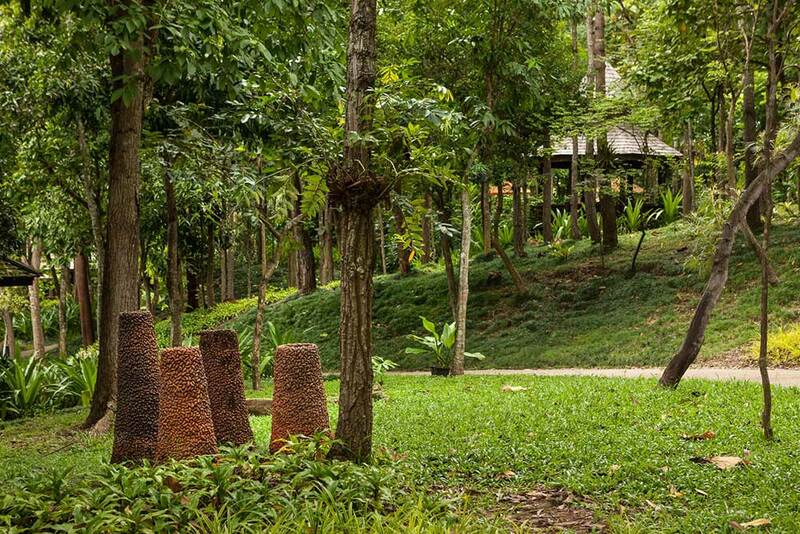 Lana Thai Villa is located in one of the best and most highly acclaimed resorts in Mae Rim. Set in an estate of over 80,000 square meters it is created around working rice paddies with scenic views of the foothills of the Himalayas. The resort is filled with exotic flora and fauna allowing you to connect to nature and enjoy a relaxing and peaceful stay. 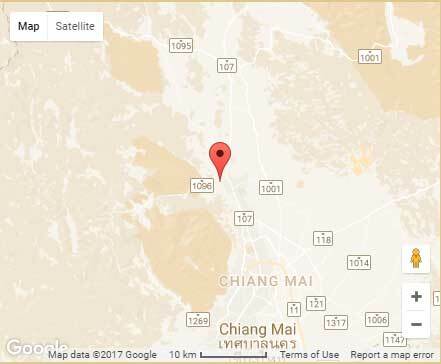 Mae Rim is at the gateway to the Samoeng and Mae Sa valleys which are known locally as the playground of Chiang Mai. You are minutes away from elephant safaris, adventure attractions and awe inspiring sightseeing. Staying at our Mae Rim resort is therefore the perfect choice, offering luxury accommodation in an incredible setting and within easy reach of the best Chiang Mai attractions.